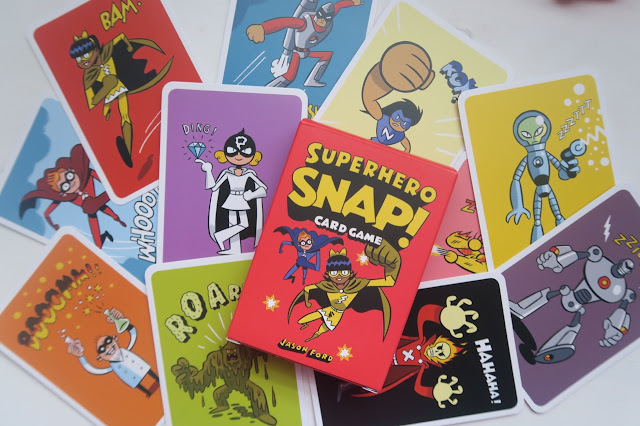 There is four cards of each illustration and we enjoyed playing the game of snap with them. The cards are a good size for little children hands and we had fun saying the words on the cards when we turned them over. Of course, Big Sister won most of the games but Little Brother enjoyed repeating the new sound words while we played. 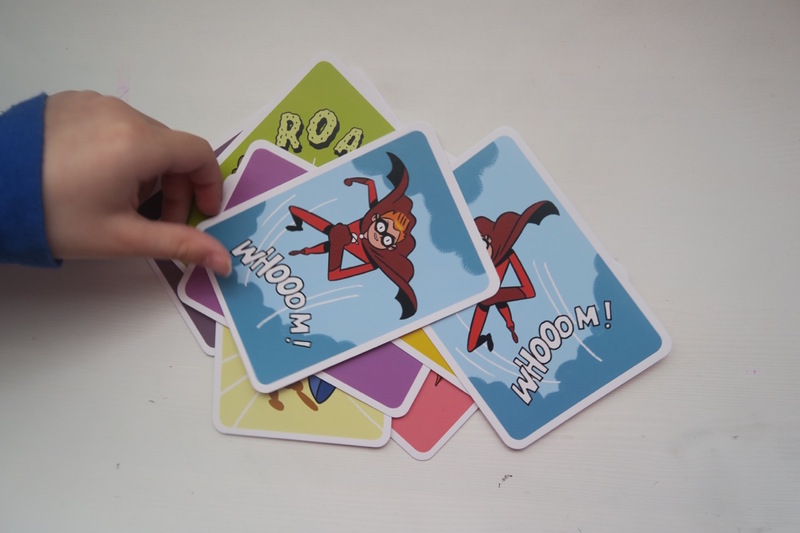 The cards a made for durable cardstock and the illustrations brightly printed. 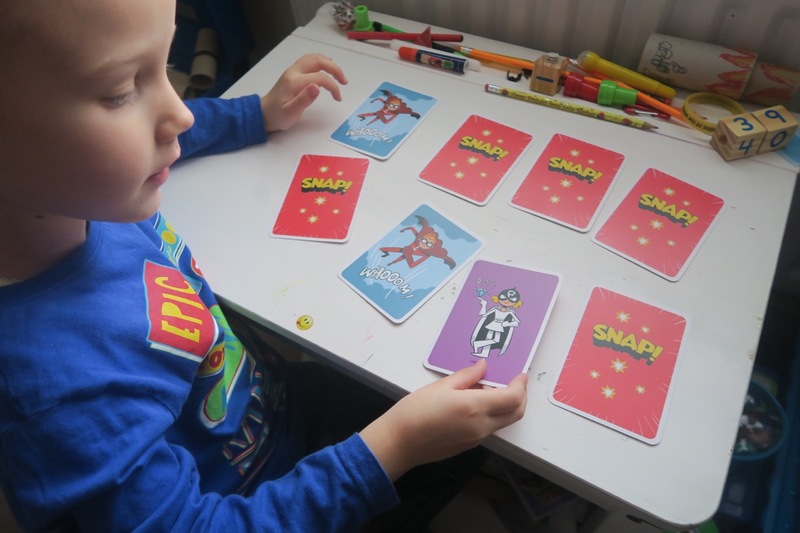 We played many games of snap before Big Sister started to use the cards for a matching memory game. We made a set of pairs of cards and she laid them face down on the table. 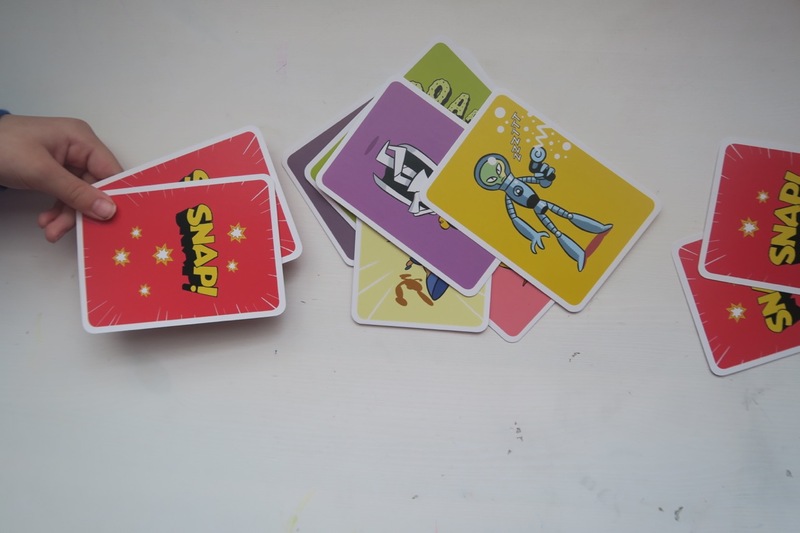 This allows the fun to continue when the 2nd player needs a break from playing snap. The cards are stored in the original sturdy box and ready for hours of entertaining fun in the future. Jason Ford is British illustrator and author of The Super Book for Superheroes and the The Superhero Comic Kit. The Superhero Snap! card were provide to us for playing by Laurence King Publishing. I was sent a complementary snap game and this review is honest in my own words. Thank you!